In this post I will combine two weeks as we are limited to testing this week. We missed Ms. Hollis and Vann's classes on Monday the 14th but were thrilled to see them again on Monday the 21st. It was my turn to read to the kids and I picked out the book, A Boy and His Bunny by Sean Bryan. This story is about a boy who wakes up with a bunny on his head. The bunny stays on his head and tells about all the things you can do with a bunny on your head. At the end of the book (spoiler alert) his sister wakes up and has an alligator on her head. To prepare for the class I scanned the pages of the book into a Google Presentation and then used my iPad, the big screen TV and Apple TV to mirror the presentation on the big screen, thus making it easier for the whole class to see the pictures. To follow up this story with a fun tech activity I downloaded the free PicturePerfect App to my school issued iPad. Students were then given the opportunity to choose an animal to have on their head. The cool thing was that since my iPad was mirrored to the big screen TV, the kids could see the app in action as we picked the animals and took the pictures. We were all laughing so hard! On Monday the 14th Ms. Isabeth Gannon dove head first into using Doctopus with her English classes as they prepared to write a major essay. In advance, Ms. Gannon and I sent an MLA Template out to students via the Doctopus script. By using Doctopus and the MLA template, Ms. Gannon can see her students progress on their assignments anytime she wants from any Internet enabled device. She can view by thumbnail for a quick overall view of her class or click to open individual papers. She can see and respond to students in real time. There is also no worry with needing to upload or download assignments. 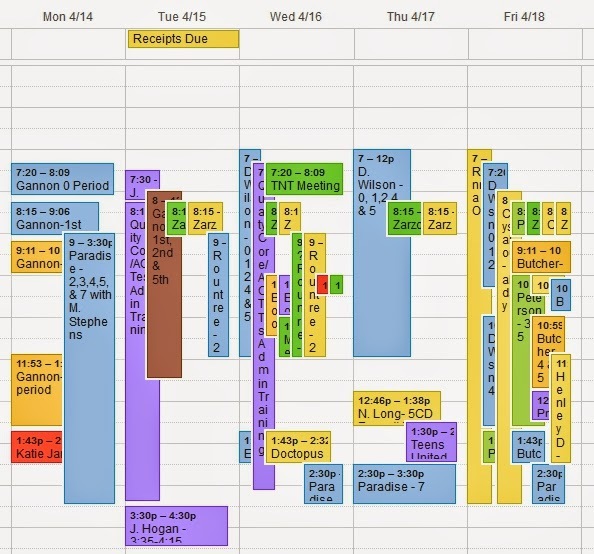 Additionally, Ms. Gannon can run a "revision history" and see how much time students invested in the project. My PD sessions on this (as well as others from this year) can be found HERE. Due to testing taking up all of our lab space, our final Google 101 PD of the year is being taught as a Flipped PD with follow up in small group and one on one settings. These two weeks have been filled with fun, spirited PD sessions about using Doctopus. I have also assisted teachers with a flurry of other quick tech questions ranging from uploading videos from their iPad to the making of Google Forms. Flipped PD (April & May 2014)Doctopus and GoobricHave you ever had a student lose a paper, forget an assignment was due, leave their homework at home or any other rash of excuses for not turning in assignments? Tired of running after students trying to get them to turn in assignments? Hate the hassle of leafing through papers to find the worksheet/assignment for the student who was absent? Worried about how to hand out modified assignments to students with an IEP without the other students knowing? Wish you could grade, comment and hand back papers with just the click of a button?Doctopus & Goobric through Google Drive are the answers to all your woes! 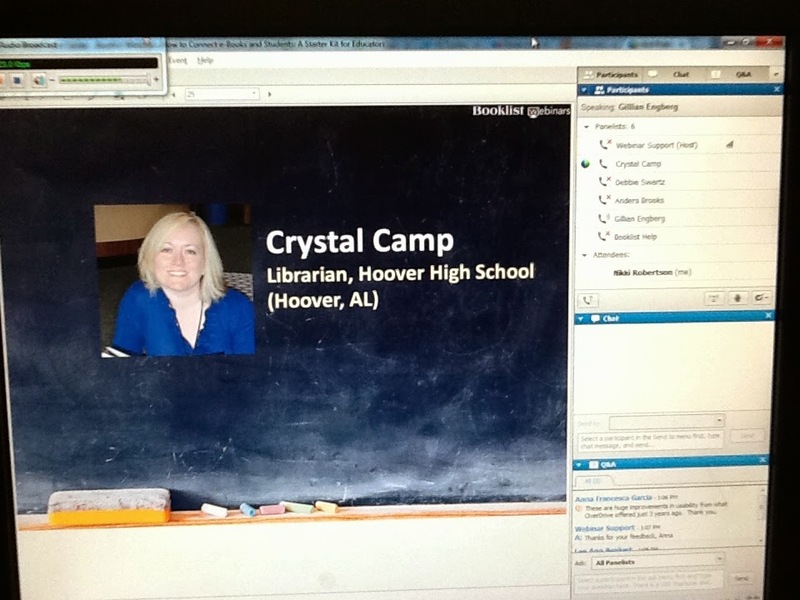 Mrs.Crystal Camp, my mentor and co librarian, presented a webinar for BookList entitled, How to Connect e-Books and Students: A Starter Kit for Educators. Crystal did an awesome job talking about our journey to incorporating ebooks into our library using OverDrive and our 1:1 iPad program. Author John Mantooth came to Hoover High School to talk with IB students about the writing process. John is the author of Shoebox Train Wreck, The Year of the Storm, and the upcoming novel Tuskaloosa. He is generating some real buzz in the field of mystery and horror writing, and is up for a national award in the next month. Read more about John's visit HERE. Several weeks ago I co taught with Ms. Virginia Young and helped her set up her big end of the year Event Planning project. We incorporated several tech tools into the project including Google Documents, Canva, and BlendSpace. The project due date is April 25th. The project requirements are HERE. Before collaborating with Ms. Robertson, most students turned this project in either by loading each of the A-K required parts through Edmodo one by one or turned everything in written on paper. Thursday, April 24th Ms. Robertson and Ms. Young worked together to help students put all parts of their project together in one place using BlendSpace. Using Blendspace students were able to turn in all parts of their assignment (A-K) with just one link, making grading a much easier task for Ms. Young. 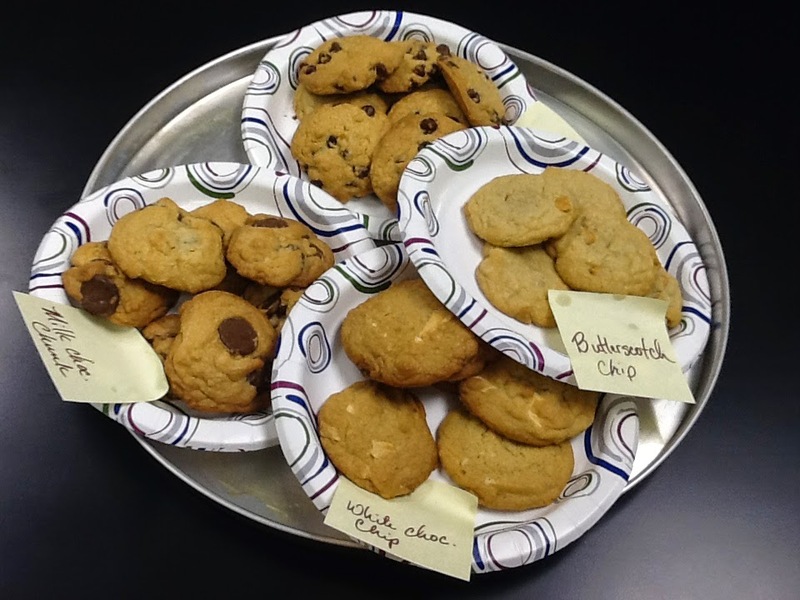 Ms. Young surprised me with a tray full of delicious freshly baked cookies and a sweet thank you card. What I am truly thankful for is that Ms. Young was willing to step outside of her comfort zone and trust me to help incorporate technology into her lesson and to co teach with her. 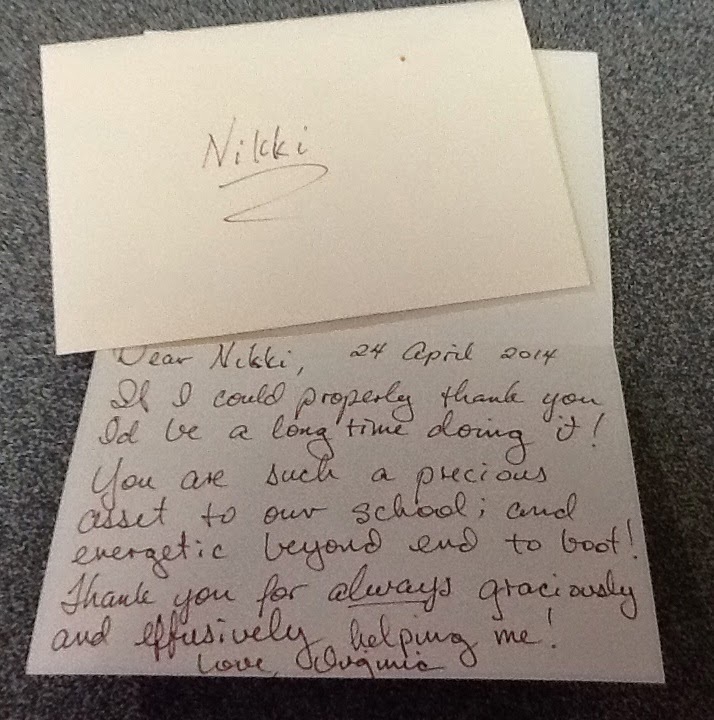 Ms. Hannah Zarzour is one of the most amazing teachers I have ever worked with. She is a first year teacher and is blazing a trail in her English classroom using technology. One thing Hannah took the time to tutor me on this year was Doctopus and Goobric. 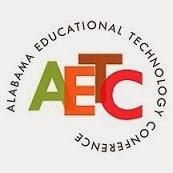 When it came time to apply to present at the Alabama Educational Technology Conference (AETC) this year I immediately thought of Ms. Zarzour and asked her if she would co present with me during the 3 hour hands on session about the Flipped Classroom and she agreed! On Friday, April 25th we sat down to go over the session and plan out which parts we would each be in charge of presenting. Of course, Hannah will show the attendees the wonders of Doctopus, Goobric and Add On in Google as well as telling of her own experiences working in a progressive school with a non traditional student schedule. I look forward to presenting with Hannah this June. During the month of April student library aides have been working on a three part assignment that culminates into the creation of a Tellagami. Each aide was assigned a certain area of the library to make a brief tutorial about. 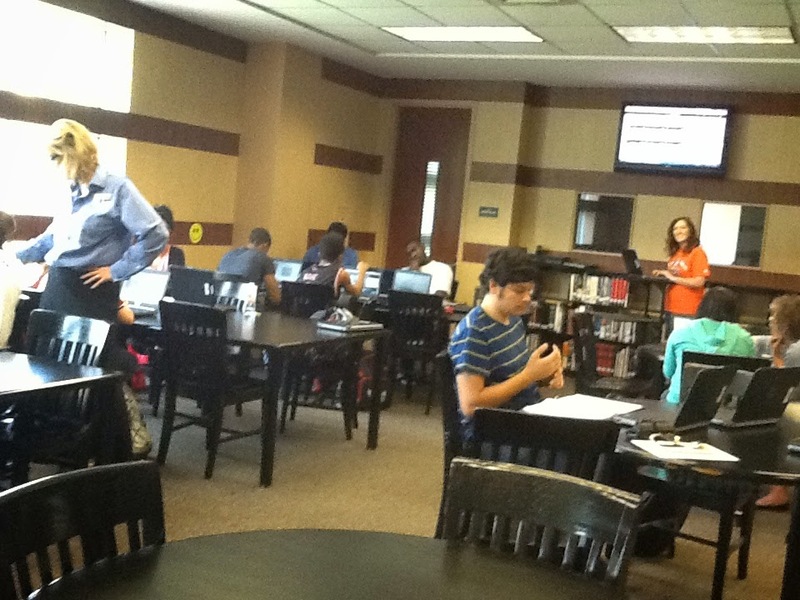 Sections included use of the copier, WEPA Print Kiosks, checking out laptops, books, charges and iPad cords, etc. The Tellagami was created after key points and a script had been approved. 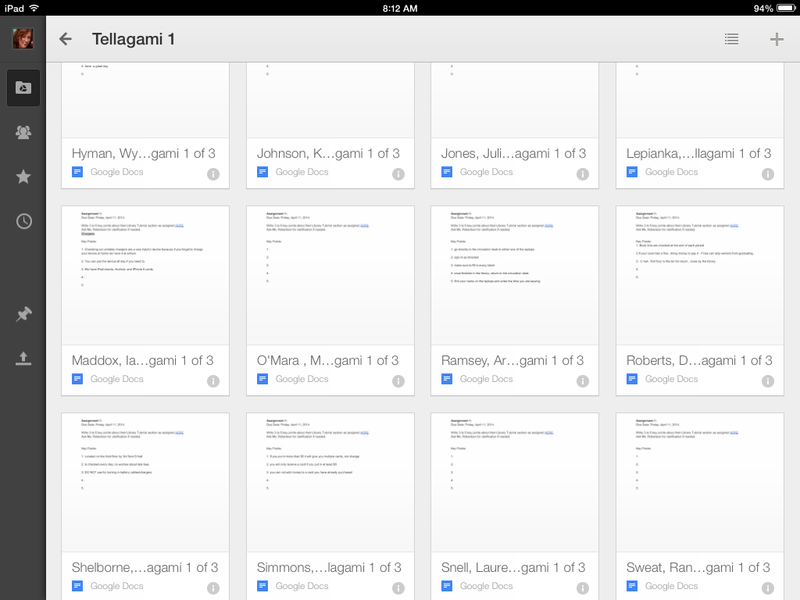 All Tellagamis were then combined into a ThingLink of The Library@HHS. 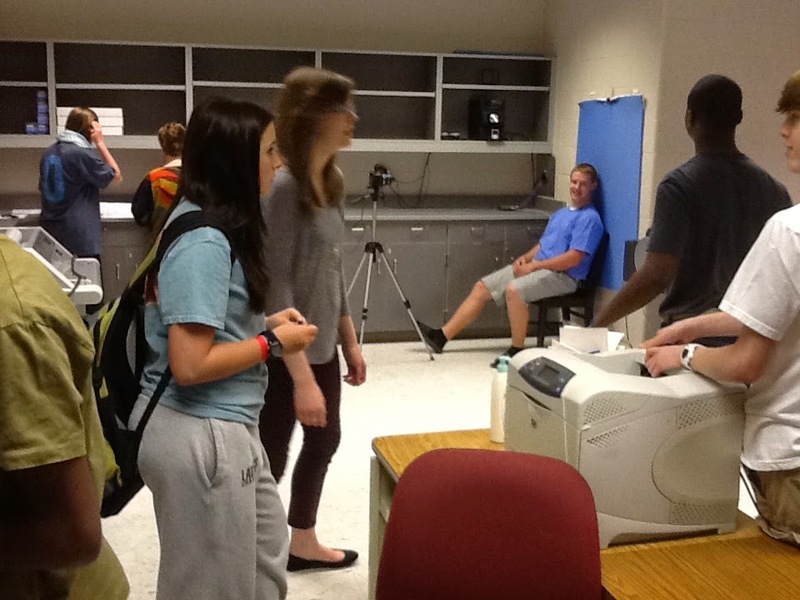 In preparation for Fall registration days, The Library@HHS has spent the month of April taking ID Pictures of every 9th through 11th grader in the school. In August we will print these ID Cards and have them ready for pick up during registration. It's been a long, tedious process bu the kids and their teachers have been wonderful to work with us in getting this task completed.